Terriers will be looking to get off the schneid and earn their first victory when they begin a home-and-home series against #13/14 Northeastern at Matthews Arena. Puck drop is 7 p.m. ET for the contest that will air live on NESN with several streaming options (see links below) as well. For BU, which has been shut out in its past two starts, sophomore David Farrance is the points leader with four and senior co-captain Bobo Carpenter has two goals. 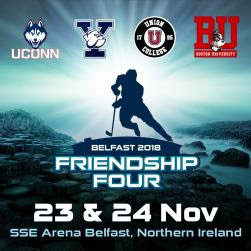 The Terriers will be looking for more offense from junior Patrick Harper, sophomore Shane Bowers and freshman Joel Farabee, among others. Northeastern, which defeated #2/3 St. Cloud last weekend, has a 4-2-0 record. With its standout top line from last season departed, the Huskies are led on offense by junior Grand Jozefek with four goals and two assists while senior Liam Pecararo has 4 points (2G, 2A). Thirteen Huskies have scored at least one goal. On defense, NU is led by goalie Cayden Primeau (2.00GAA, .923 save %). 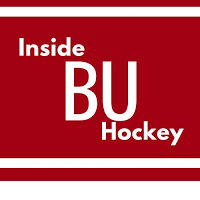 ►This week’s episode of Inside BU Hockey features Bernie Corbett’s interviews with Head Coach O’Connell, junior defenseman Chad Krys and Northeastern play-by-play announcer Rob Rudnick. Krys, a second-round pick by the Blackhawks in 2016, had a strong second half last season and earned a spot on the Hockey East All-Tournament Team. He missed BU's first three regular-season games and both exhibition wins with an injury. Kevin Shattenkirk scored the only shootout goal as the Rangers defeated the Sharks, 4-3, giving David Quinn his first road win as Rangers head coach. It was the former Terrier captain and All-American’s second shootout winner in a week. Jack Eichel’s fourth goal of the season gave the Sabres an early lead, but the Flames rebounded for a 2-1 win. Alex Chiasson scored his fourth goal in the Oilers’ 4-3 loss to the Wild.